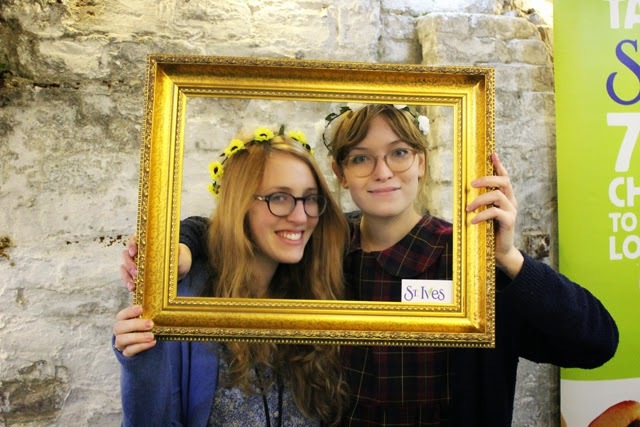 Last Wednesday my friend Sarah and I met from work and headed central for a beauty event hosted by St Ives. 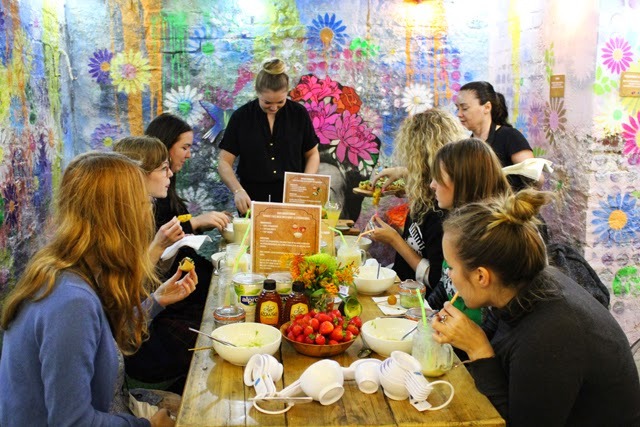 Held in a charming little place called the Daisy Green Food Cafe, we arrived drenched from the rain and were treated to an evening of healthy canapés, delicious drinks, DIY and expert advice. The highlight of my night was probably making my own avocado, honey and coconut face mask whilst sipping on a tasty apricot smoothie. I recommend giving this DIY face mask a go by the way; simply mash together a teaspoon of avocado with a teaspoon of honey and, yes that's right, a teaspoon of coconut oil. Avocado browns rather quickly so it's best to use it in the same day, but just rub it all over your face, (not in the eyes! ), and leave for about 15 minites before washing it off. It smells delicious and will leave your face feeling silky soft! 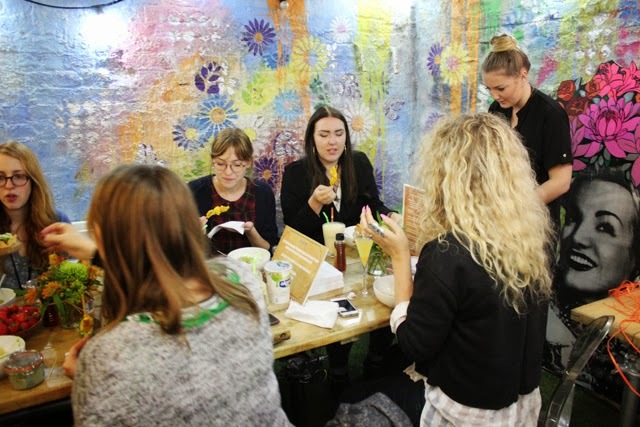 It was a lovely evening and I liked how everything revolved around health and beauty, particularly as I'm actually making a conscious effort to lead a healthier lifestyle at the moment. St Ives very generously gave us all a goody bag at the end of the night too, so I now have a new selection of lovely smelling face scrubs and lip balms to try, yippee! 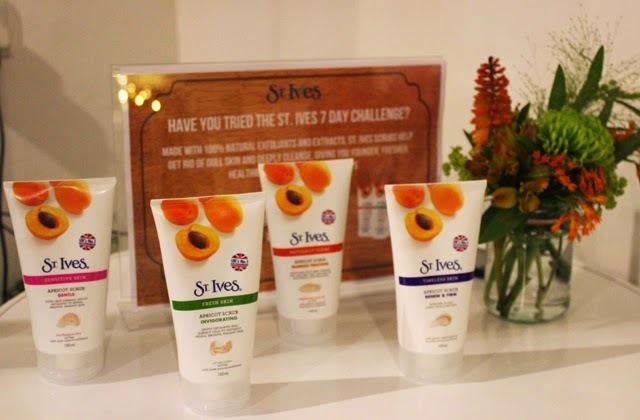 i've been a st ives fan for as long as i've used skincare - their exfoliating scrub is still my favourite. it's a classic! Oh man! jealous!! Ive been using St Ives for a long time now! what i would give for a goodie bag!! © Fashion your Seatbelt | All rights reserved.